Talk about serendipitous timing, I'm actually heading to Disneyland TODAY! 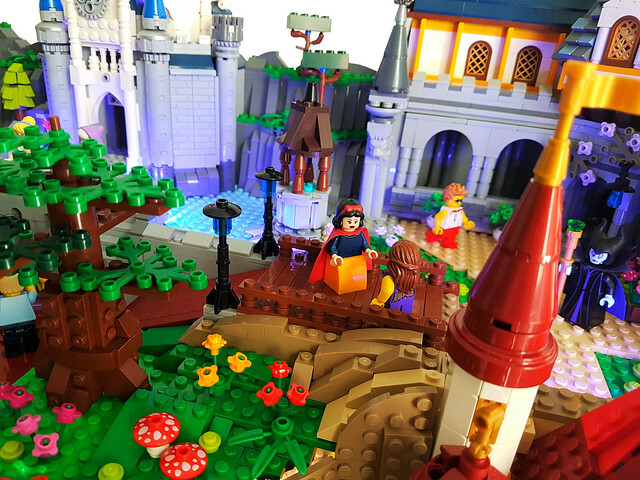 This wonderful MOC by builder LEGDOC represents our cross country cousin in Florida, but they both have the same magic. 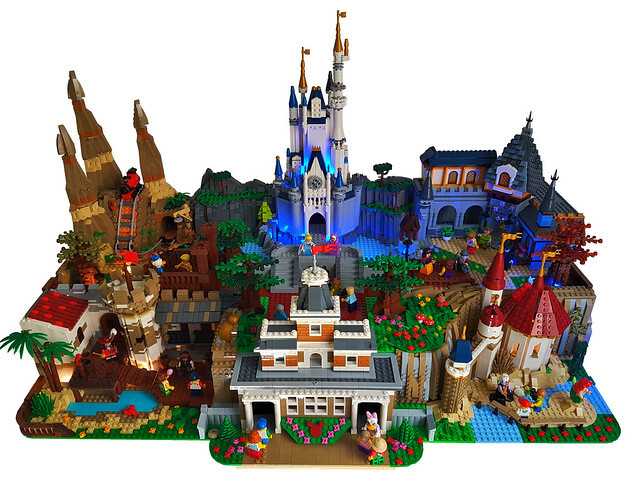 It depicts the Main Street U.S.A. Station, the "hub", Cinderella's Castle, Adventureland, Frontierland, Fantasyland and the new Fantasyland.